I've got a kid on loan for the weekend while my babier sister is visiting friends in Idaho, and we're going to a potluck picnic with our new international students. So, I needed to come up with something amazing, whether they eat it or not, and using what I have in the house. These brownies are a slight variation on Crazy for Crusts Zucchini Brownie's. I'm not a huge squash fan. I'll eat zucchini fried or in bread, but rarely any other way. I like the summer squash even less, but can choke it down. This was a perfect use of the two things. 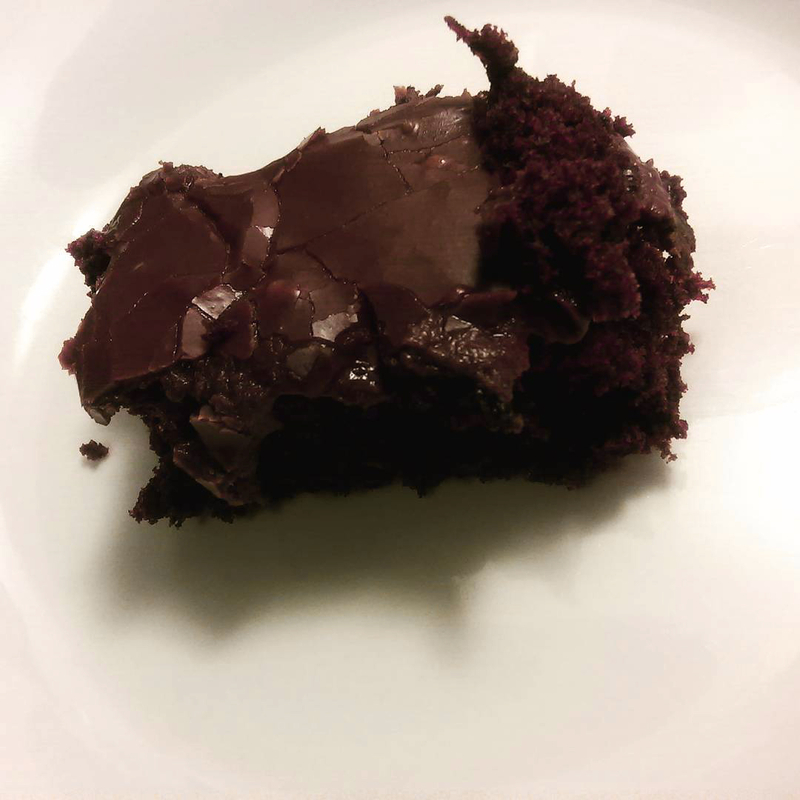 Super moist, super chocolatey goodness, and easy to switch to vegan. Just sub 1 tsp salt and 1/2 cup coconut oil for the butter in the brownie, and use a chocolate chip drizzle for the topping rather than mine. In large mixing bowl, combine flour, cocoa and soda. Whisk together. Add chips and whisk again. In a medium bowl, combine butter, sugar, vanilla, squash. Beat well then add to dry ingredients. Use electric hand beater to bring together. If a bit powdery, add coconut milk one Tbsp. at a time. Batter will be thick, but shouldn't be lumpy and powdery. Line 9 X 13 pan with foil, and butter it thoroughly. Add in batter, and smooth it out. Bake for 25-30 minutes, until springs back when touched in the middle. Whisk together sugar and cocoa. In a small bowl, combine butter and milk. Slowly add milk mixture into sugar mixture while stirring. If too thick and globby, like cookie dough, add 1 Tbsp. at a time more milk until thick, but creamy. Frost once brownies have cooled and refrigerate.